With the OLM converter software, one can Export Microsoft Mac Outlook OLM mailbox to Windows Outlook PST format. After exporting, OLM file into PST, one can access them in Windows Outlook. 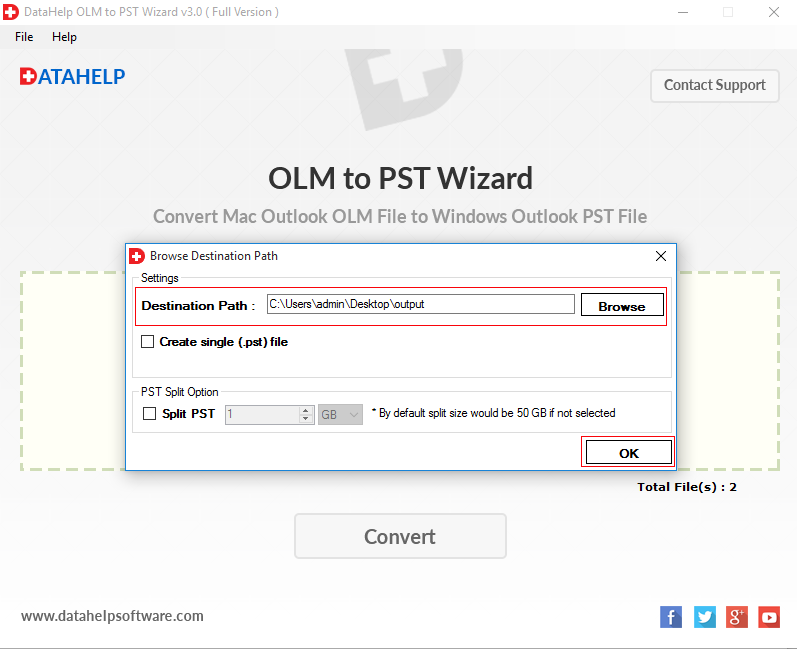 Moreover, this tool is efficient in converting Mac Outlook archive to PST, also allow user to export whole folder of OLM files into a single or separate PST format. 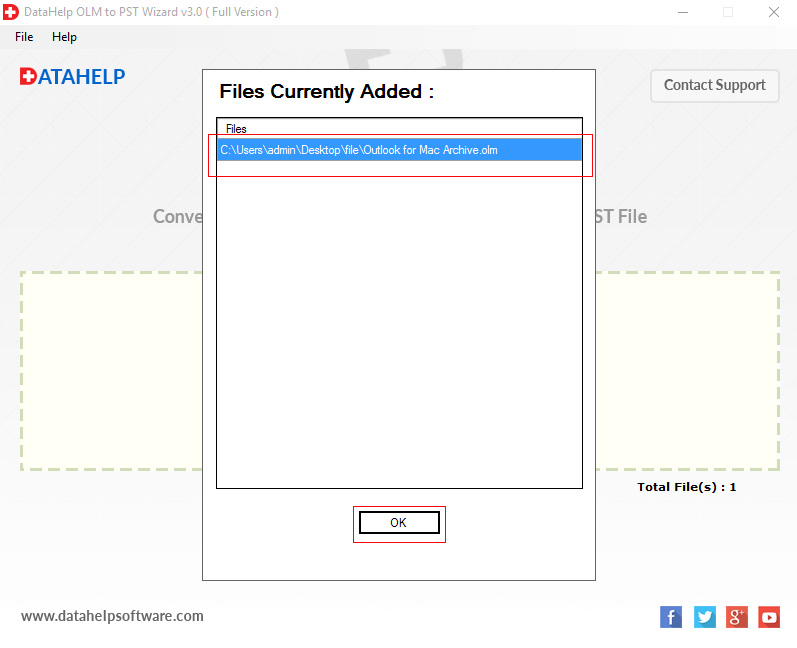 Selection of multiple files at a time reduces the time taken for the conversion. The Mac OLM to PST converter Software convert entire data of OLM files such as Emails, Contacts, Calendars, etc into PST including attachments of emails. The attachment can be of any type such as images, document, etc. All emails along with attachments are exported successfully without compromising with the originality of the data. One can found the attached file from the resultant files. 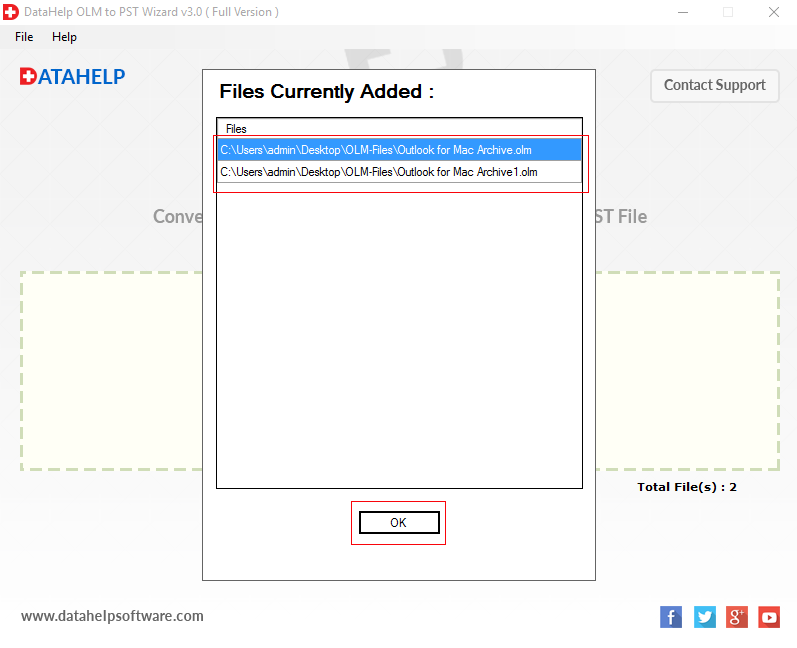 Multiple File Selection: A user can select multiple OLM files by using OLM File to PST conversion tool. For this software provides Select Files, Select Folder options. 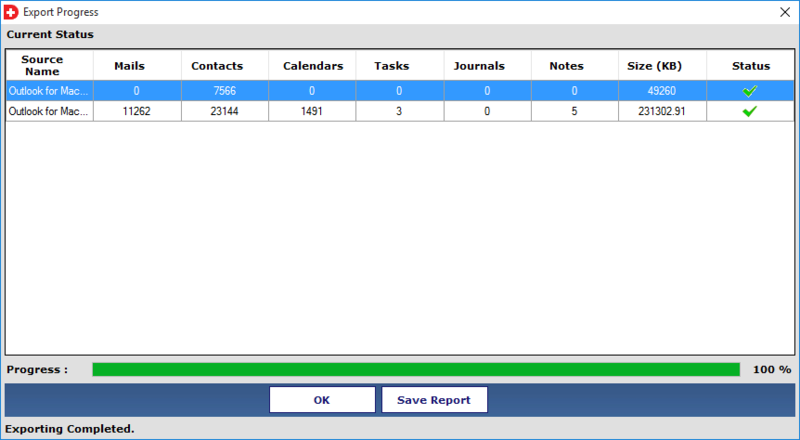 Drag & Drop: Drag & Drop - OLM files which contain email, notes, contacts, etc. directly from their local system to the software. Even after conversion, the OLM converter software retains data integrity of the original mailbox. This means all the email and contacts and other items are saved in a folder similar to the ones in Outlook 2011 for Mac and there is no data loss. When PST file is uploaded to Outlook the email attributes like to, subject, cc, bcc, etc will be in the same format as in Microsoft for Mac Outlook. After converting OLM file, user also able to split large Output file by size into multiple smaller parts. This helps in preventing corruption issues due to oversized PST file and transform it to a manageable size. 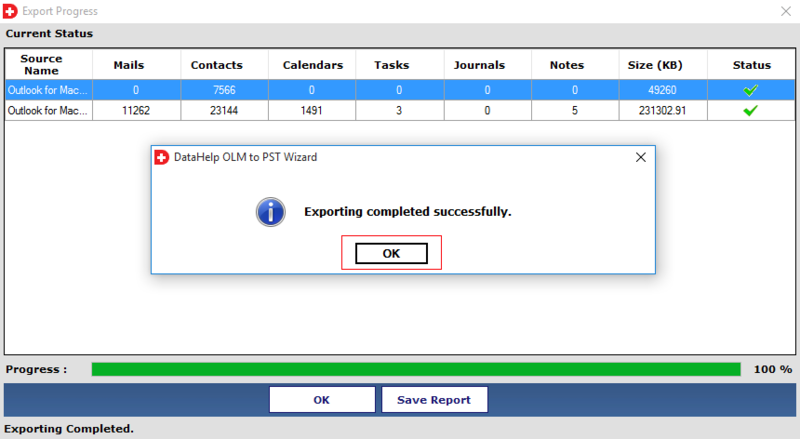 Moreover, the Mac OLM exporter tool allows users to export any size OLM file without any hassle. The OLM to PST converter application provides users an option to merge multiple OLM files into a single PST file. 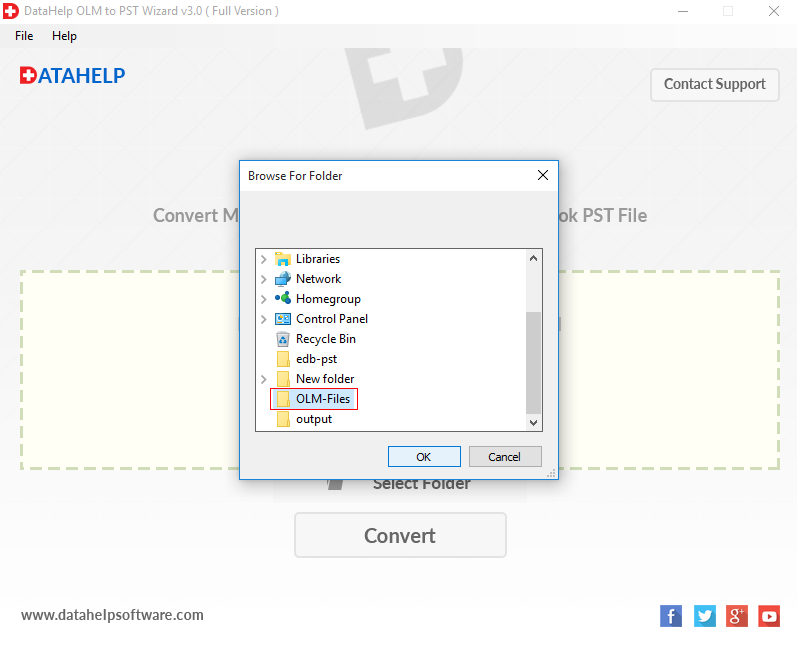 However, if a user wants can create separate PST file for each OLM file also. Moreover, This tool provides users an option to pause the on going process in between and resume it later. Does the Mac Outlook OLM to PST converter Wizard support selective export of files as well? 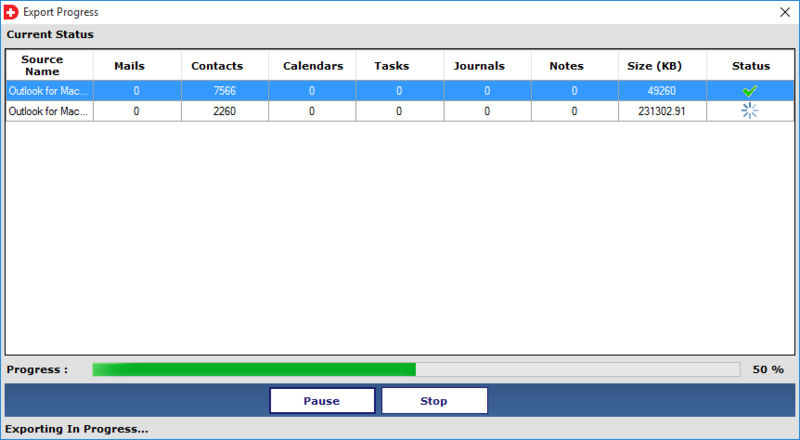 The Software allows users to export selective OLM mailbox from batch of OLM files. 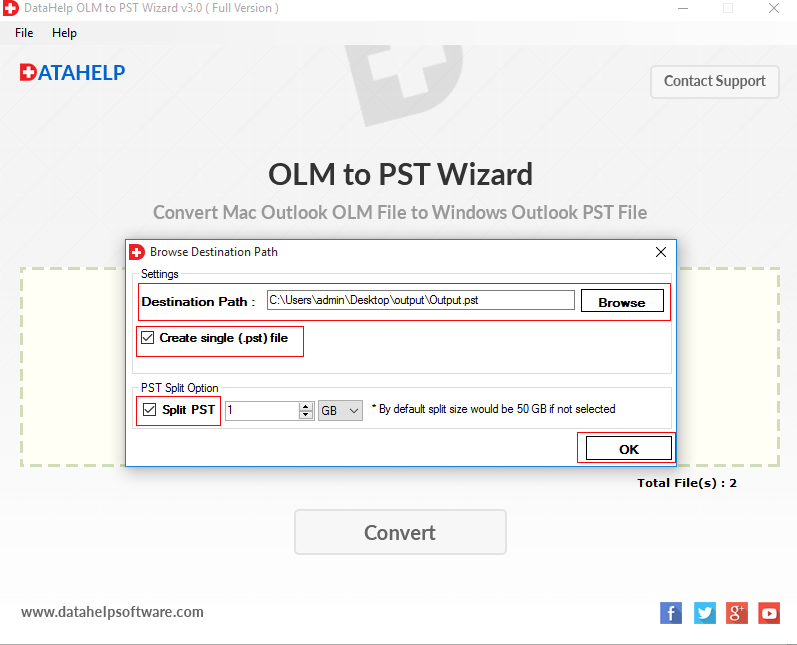 A user will be able to convert entire Outlook 2011 OLM file to PST, you just needs to select & import file into software panel. Can the software convert corrupted OLM file to Outlook PST? Unfortunately, the Mac OLM converter Wizard would not be able to repair a corrupted file. For the software to function precisely, OLM file should have no corruption. What is the maximum limit of OLM file size for conversion? In the Mac OLM to PST converter software, there is no file size limitation while exporting OLM files to PST. A user can easily migrate any size of OLM file to Outlook PST without any restrictions on file size. Will the Software maintain the same folder hierarchy as the Mac Outlook OLM mailbox folders after conversion? 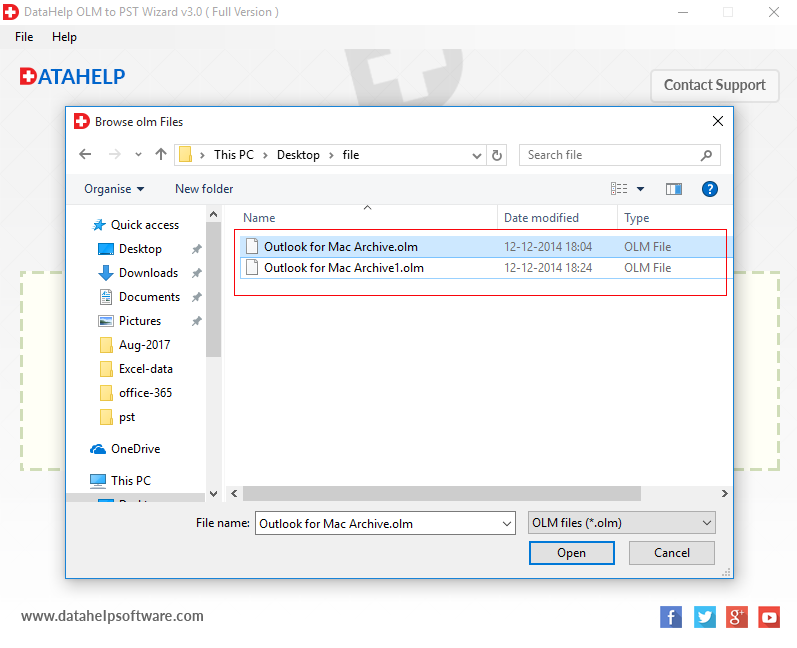 The Mac OLM Exporter software will convert Mac Outlook OLM files and it also maintains the folder hierarchy and meta-data. A user may not have to face any issue with this software. 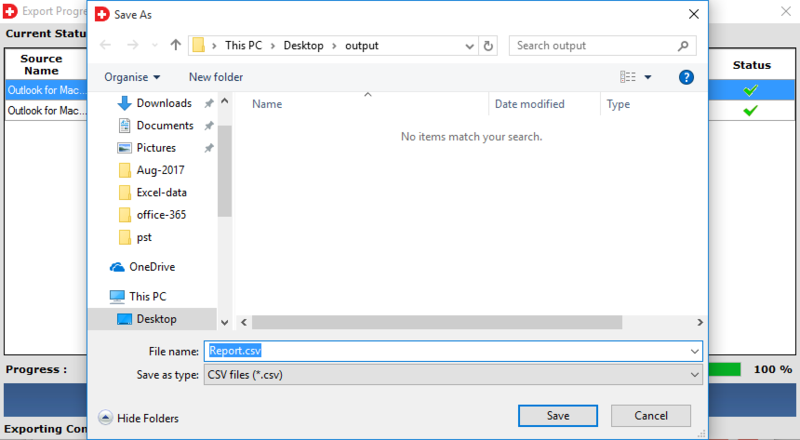 Can I migrate data from Mac Outlook 2016 to Windows Outlook? Yes, OLM files to PST conversion software support Mac Outlook 2011, 2016 and export their OLM files to Windows Outlook compatible format PST. 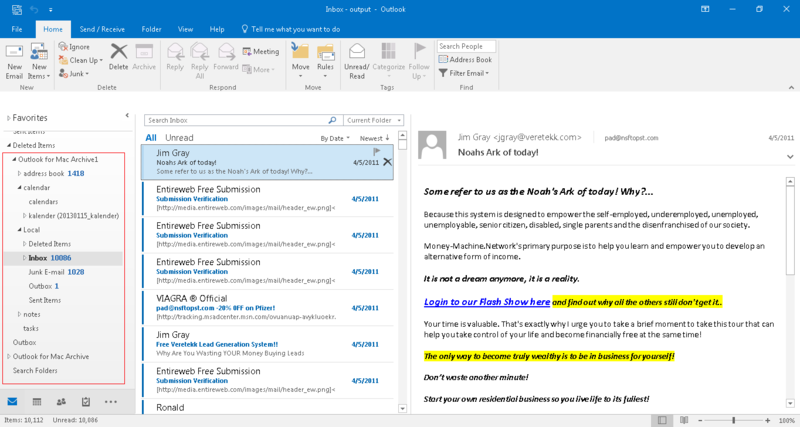 Mac Outlook Email Client like Outlook 2011, 2016 for Mac is required to perform the conversion of OLM files by using this software? No, Mac Outlook 2011, and 2016 is not required to export OLM data into PST. But to access converted file (PST) you need to install Outlook on Windows Machine. "Just a couple of days back, I tried this OLM to PST converter tool for converting my MAC Outlook emails, Contacts, Calendar, and other items to PST file format. It makes me glad that this product is genuine and authentic, with the help of this software I successfully imported OLM files to PST Windows Outlook. I do not have a lot of technical knowledge, but I can say for sure that the software that I used was user-friendly and met my expectations." "I received unlimited OLM files, but due to unavailability of Mac Machine, I was not able to access the data of OLM files. 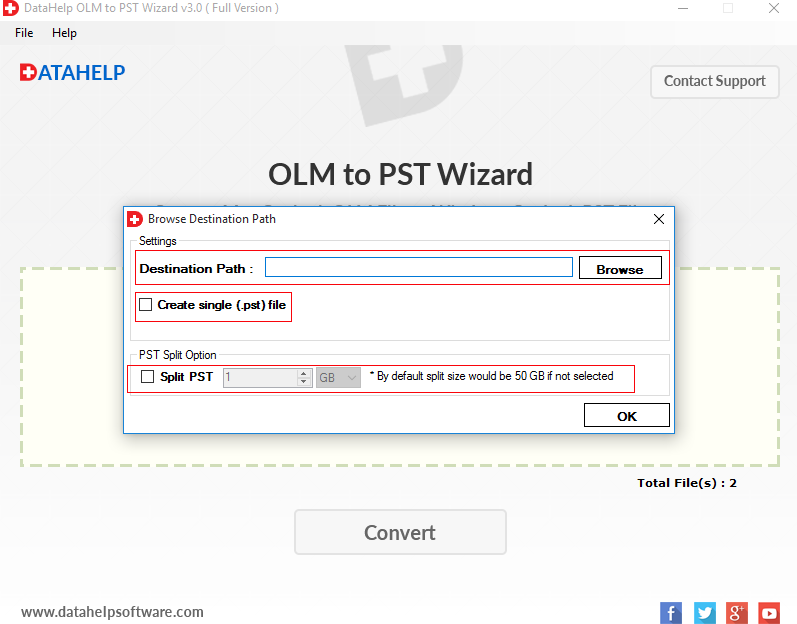 I was aware there are many conversion tools available in the market to perform OLM files conversion, but my friend suggested me DataHelp OLM to PST Wizard. I tried this tool and received remarkable results. Thank you for this amazing product."